AMAZING UFO OBJECT REPORTED BY MANY TOWNS ON LONG ISLAND N.Y.
AMAZING UFO OBJECT REPORTED BY MANY TOWN ON LONG ISLAND N.Y.
On November 18th and 19th I received reports from people living in Deer Park and West Babylon. The two towns are only a few miles apart and are located about 5 miles from the south shore coast of Long Island. The people who called from both towns told me the exact same thing. They all witnessed a bright light in the night sky that would stand still in the sky above the normal air traffic lanes shinning mostly a very bright white until suddenly it would start to move quickly to the left and right or shoot up in the sky or straight down much lower to the land while it changed colors to a neon pink, red or yellow and back to white. It would become standard again for a few minutes and suddenly once again move into action making long huge letter S shapes leaving a comet like tail behind it as it moved at incredible speeds. The object was seen and watched from dark and throughout the night on both nights. I asked if anyone reported it to the police or any type of agency. The response was sad to hear as I was told they did not know of any responsible source to report it to, did not want the ridicule of the police or media and instead looked up a fellow New Yorker on the inter net and called or emailed me. They were trying to take photos or video with their cell phones but to date I have not had anything sent to me. The people were watching this display by this object using binoculars, telescopes and rifle scopes. Using these items they say the maneuvers and speed of this object were amazing and unlike anything they had seen before. I had a call from another older gentleman last week who reported another UFO sighting also in that area of Long Island in the town of Lindenhurst which is also located on the south shore about three miles from the coast. This man was standing at the end of his driveway putting out the trash for pick up the next day when something in the sky caught his eye. 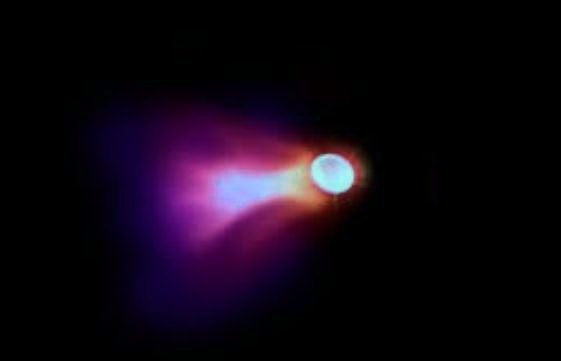 There at about the level of normal air traffic coming from the east at incredible speed came a perfectly round orb that was a neon blue color he had never seen before. He told me the closest thing he could relate the color to would be the new bright L E D lights used at Christmas that shine especially bright and in colors not usually seen. The object flew from the far east end of Long Island across his town and headed towards New York City at an incredible speed. The man worked for years at a Long Island airport and told me he was certain without question it was not like anything or any color he had ever seen before and traveled at a speed that would not be possible for today’s aircraft’s. The man also reported it was silent and perfectly round without any break in its form or color. The last Unidentified Flying Object report occurred also on Long Island in the town of Huntington and came from my own husband. He was working outside in front of our garage last week. It had just become dark and he was standing in the middle of our very long driveway that has a clear view of the night sky. He was standing there thinking about how he was going to go about the project he was working on and glanced up to look at the stars. He realized that among the stars and normal night sights stood two very bright very round lights that looked like headlights only spread out a bit too far. As he looked at them he realized they were moving in formation but would stop and simply hover before once again in perfect alignment start moving again. They would move right and left until they seemed to pick a direction they liked and move along across the sky in that manner. My husband noticed immediately that the only light was solid and white. There were no flashing or colored lights of any type on the two objects moving across the sky. He watched for about 60 seconds and looked away to blink as his eyes started to bother him from the bright lights. He only looked away for a second however when he reopened his eyes to focus once again on the two objects they were gone. They were nowhere at all in the sky to be found. The October / November time of year has always been a very active time on Long Island for sightings of unknown objects being seen in our skies. So far it appears this fall season is following the past with reports being seen once again of crafts, orbs and lights we cannot explain. UPDATE: Objects were also witnessed over Oakdale and East Islip. NOTE: The above image is a rendering.